Blarney Woollen Mills Hotel, County Cork, located in the grounds of the famous Blarney Woollen Mills, Cork. Blarney is steeped in history, rich in folklore and our hotel is just 10 minutes from Cork City. The hotel is built within the old stone walls of the historic Mill and retains all the charm and nostalgia of times long gone, whilst offering the warmth and comfort of a modern hotel and the finest accommodation Blarney has to offer. With just 48 rooms, we are small enough to get to know all our guests, and to welcome you personally to our home. Blarney Woollen Mills is the great Irish Shopping experience where Irish products from every county in Ireland can be found. Whether you are looking for crafts, food, folklore or fashion, it's all there under the rambling roofs of the old Mill. Blarney Woollen Mills, is more than just a store, our heritage and tradition is an intricate part of every product on our shelves. It’s really shopping like it used to be, something for all the family, the biggest Irish shop in the world and that’s no "Blarney". Close by is the legendary Blarney Castle home to the famous Blarney Stone. No visit to Blarney is complete without scaling the dizzy heights of the old Castle to kiss the stone and are thereby rewarded with the gift of eloquence for life. Our guidance and expertise will ensure that all your requirements will be carried out with our individual attention and personal service throughout the celebrations. Our intention is to help you create perfect memories of a perfect day. At Blarney Woollen Mills Hotel we strive to offer contemporary food in relaxed surrounds with an emphasis on fresh produce and excellent service. Our kitchen team are dedicated to bringing you the finest food in the region. Our newly appointed Martin Suite is decorated with great style and taste and is a room that reflects a sophisticated and stylish occasion when combined with our team's well honed skills and experience promises to make YOUR DAY a day to remember. 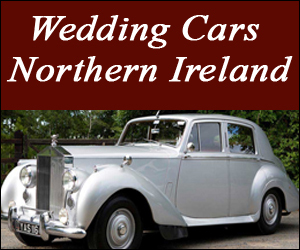 For weddings from 40 to 120 with our exclusive wedding packages we can cater to your every need. We are now registered for Civil Weddings with a beautifully appointed room capable of holding up to 50 guests. We wanted to offer something fresh and exciting here. Our new menu is a testament to well-prepared, traditional favourites at decent prices, says Head chef, Sinead, speaking about the recently renovated Mill Restaurant in The Blarney Woollen Mills Hotel. Sinead couldn’t have said it better because The Mill has undergone a dramatic transformation. The decor is bright and airy, with traditional stone-flagged floor and casual, farmhouse-style wooden tables. A rejuvenated menu, captures the essence of Sinead's passion for local produce, traditional favourites and to-die-for desserts. "i want a wedding reception venue in co cork i want a venue for a civil cermony in co cork i want a hotel with a gym in co cork"